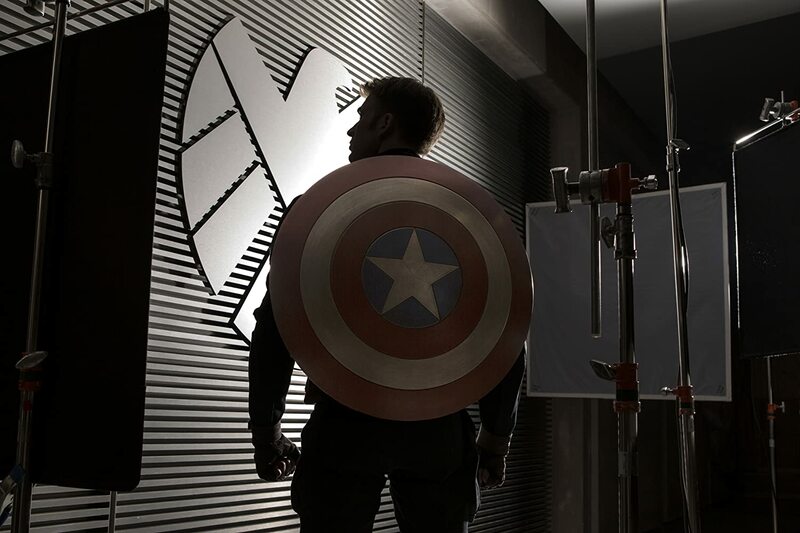 There are a great many things that you carry with you in your mind when Captain America: The Winter Soldier is over, which is more than you can’t say about a lot of these movies. The most important, I think, is that it is a true sequel. The follow-up to Captain America: The First Avenger could easily have been a hack-strung fish-out-of-water story poking around at Steve’s disorientation of being flung head-first into the 21st century. But this is a movie with much more important matters on its mind. For one thing, it continues a patterns begun in First Avenger in that Hitler was a threat to global peace during World War II, while the world was distracted from the secret machinations of a underground organization called Hydra that was taking over the world by infiltrating everything from the most rudimentary aspects of everyday life right up to the leadership housed at 1600 Pennsylvania Avenue. What is intriguing is that this idea is slow to build. Yes, Cap knows that Hydra was a problem but having been propelled forward 70s years, he is shocked to see that it’s tendrils are still at work in the new millennium – and are working their way through the upper echelons of S.H.I.E.L.D. itself. That’s a fascinating angle, and one that ebbs very close to the comic book esthetic. This is a very well-paced movie. Yes, it has a smash and bash ending, but the awakening of the machinations of Hydra make it unexpected and, in many ways, kind of creepy. I haven’t used that work about a Marvel movie before or since.